Beautiful colors -- lovely scenic shot! Great scene. 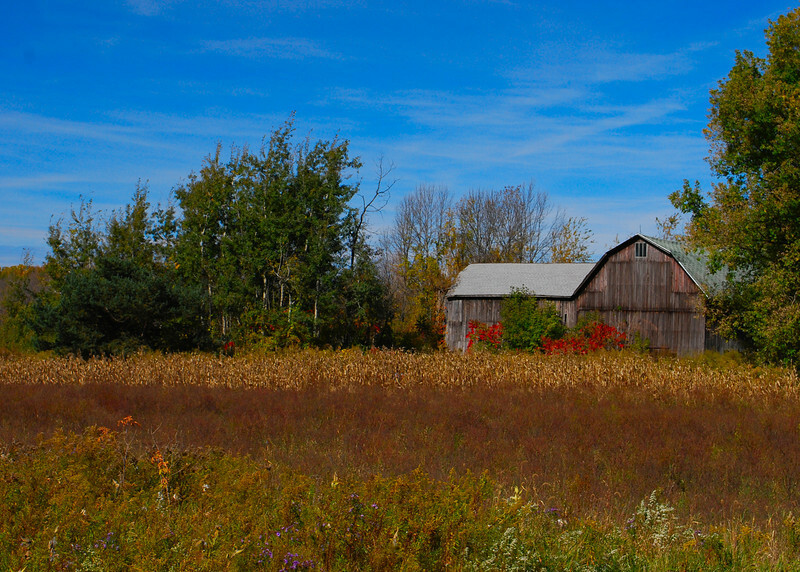 I'm looking for an old barn around here to take family photos but there is nothing as pretty as this. Elegant fall colors and nice view! The red colors stand out in this shot. Wonderful shot, lots of great detail and love the spots of bright red color.